Posted <2015-09-10 Thu 22:11> by Aaron S. Jackson. 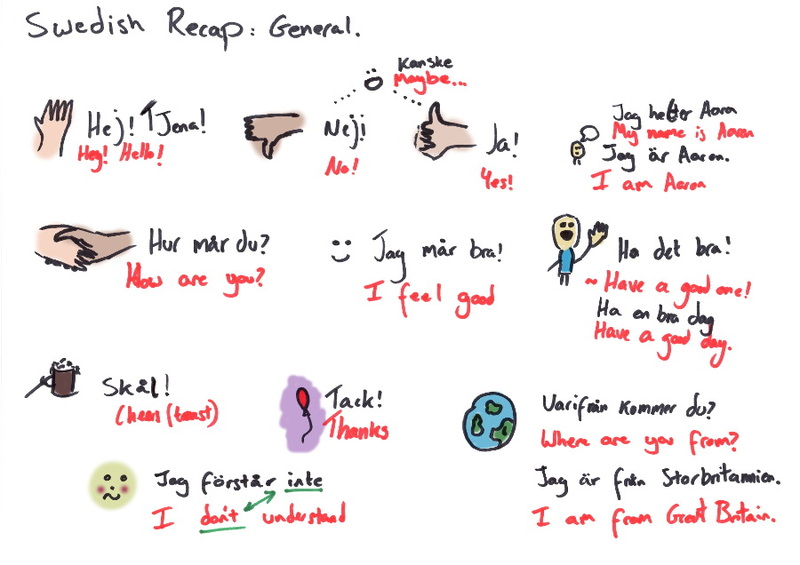 Prior to about six months ago, I was a regular to the Swedish courses on Memrise and Duo Lingo. I think I have forgotten quite a bit of what I knew, so I am going to start recapping what I can remember visually.